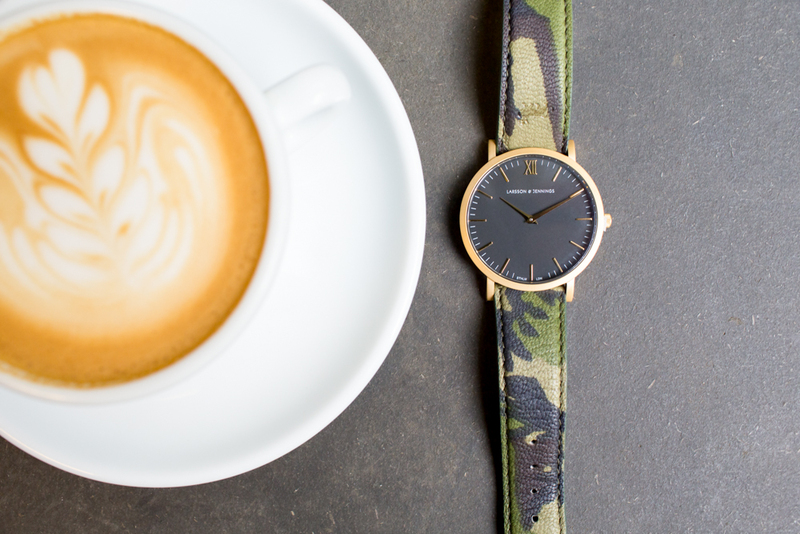 Larsson & Jennings have come together with one of their favourite stockists, Berlin’s Voo Store, to create these camouflage Läder and Liten watches. We headed over to the store to shoot them in their natural environment. If you haven’t been to Voo Store yet, it’s a must-visit while in Berlin. Not just for the fashion obsessed or those looking for a exceptionally well curated selection of clothing and sneakers, but also for those in need of a good book or magazine, or simply for an exquisite coffee at Companion Coffee (located in the store). It’s one of those places that is very hard to resist temptation in. I’d go as far as saying it’s financially dangerous, in a good way. It’s also the kind of welcoming and calm place that you can happily get a coffee or tea and sit for the entire afternoon, which we did, as per usual at Voo. 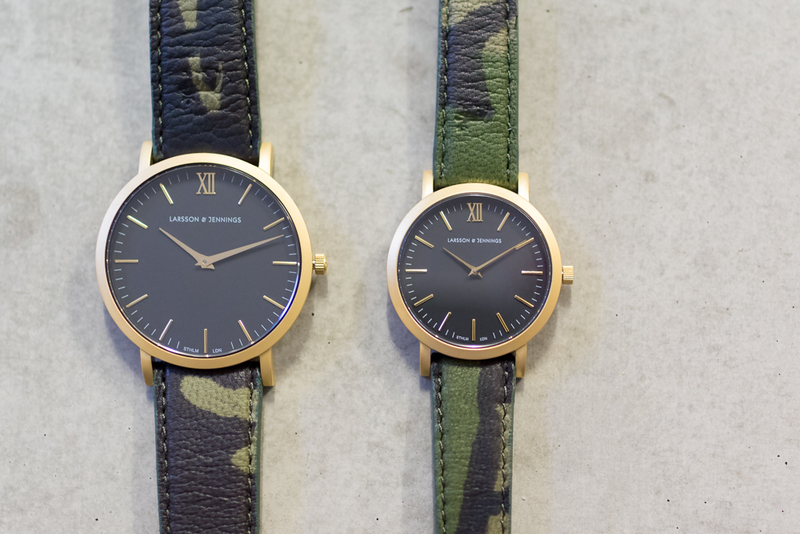 Taking the classic Läder watch, as well as the more recent smaller rendition, the Liten, Voo Store have made both watches their own by adding a camouflage British leather Kolmården strap, sourced from Somerset and handmade in Itlay, each featuring a unique camouflage pattern to the watch it holds, a black face with gold detailing, and a brushed gold casing. This is actually the first time Larsson & Jennings have used a brushed gold casing, which is surprising considering how well it works, giving it an almost brass aesthetic. 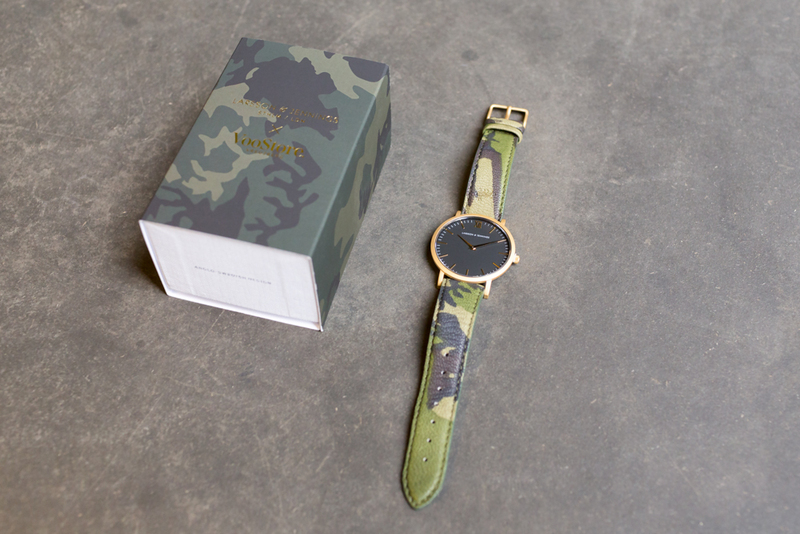 On the side of the watch you’ll find ‘VooBerlin’ engraved rather than the usual ‘SWISS MADE’, while on the back you’ll find the Voo Store logo. It’s very Voo Store to place their own branding in incredibly subtle places. 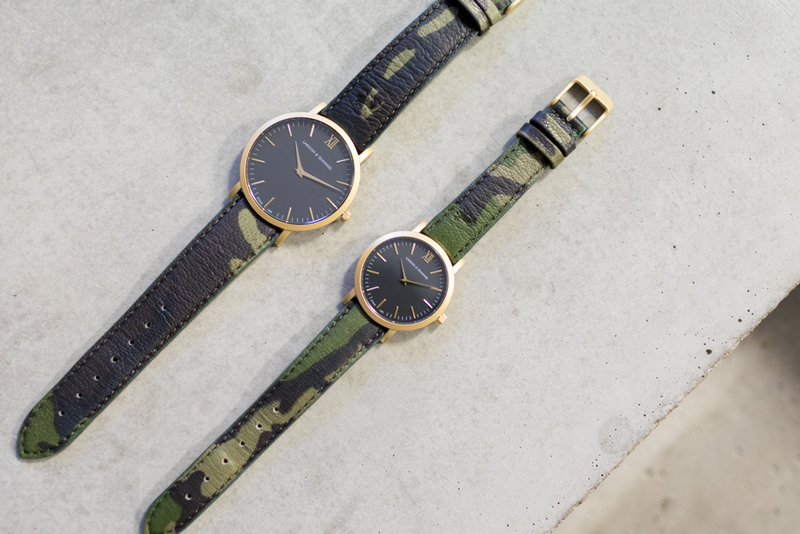 Both watches are available now exclusively from Voo Store.